During the last 12 months, our online conversion rate (i.e., the ratio of website visitors to buyers) was a matter of the utmost importance to Mornin´ Glory. In this update, we want to share with you our success story and tell you how in the recent past we raised the conversion rate of our online shop morninglory.com steadily above industry standards. By significantly improving the user experience and usability of our online shop, we improved the total (sessions) conversion rate by 107 % to over 3 % during the past 15 months. Among many changes, we streamlined our new-customer offers and landing pages, and we simplified the checkout flow of new customers so that they can easily buy their first product without any unnecessary distractions. Since early 2015, our main focus has been on users with mobile devices. 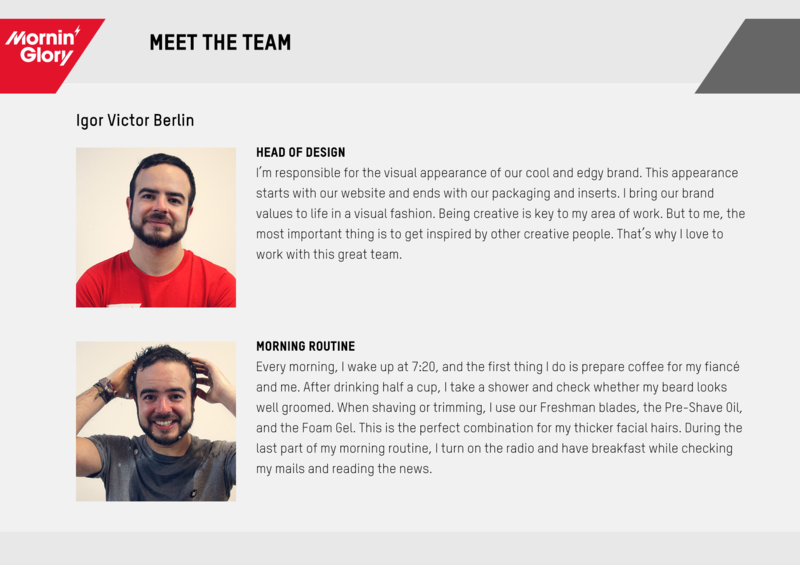 For the sake of speed, we initially started off with a responsive mobile version of our shop. Due to our SKY TV commercial campaigns, which started in March 2015, we moved from a responsive to a fully optimized mobile approach, intentionally serving second-screen customers. “Optimized” means mobile users see only content that is really relevant to their device and shopping behavior. After launching the optimized mobile version, we continued to test new content approaches and thus moved to an app-like approach: On our product-detail pages, we removed all superfluous content to focus on the truly important product details. 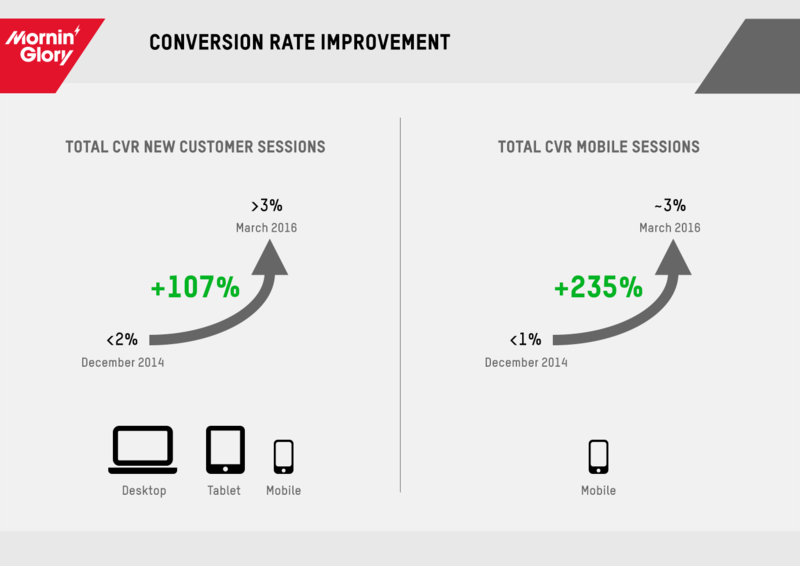 With all these measures, we raised the mobile (sessions) conversion rate by 235 % to approx. 3 % during the last 15 months. 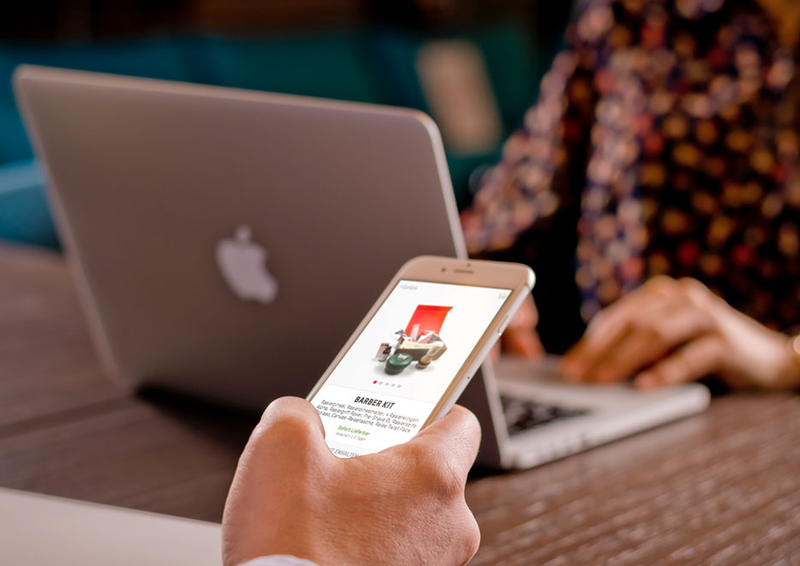 By further A/B testing new features, we’re certain that we can push the conversion rates even higher, thus making customer acquisition even more efficient and successful.